Desperation has become a theme for GMA in recent years. Weekend primetime, in particular, is more of a mess for the Kapuso network than a blessing. After all, ABS-CBN’s high-rating franchised talent shows like ‘The Voice’, ‘Your Face Sounds Familiar’ and ‘Pinoy Boyband Superstar’ has left GMA in a wretched state, always one step behind from the other. And even when GMA tried to produce a talent show, they tend to make some unwise decisions and avoid any sort of competition against ABS-CBN’s own. Remember when they aired ‘Bet ng Bayan’ and ‘To the Top’ on the not-so convenient late-night slots? Fast forward to now and it looks like GMA has learned its lesson and is finally poised to give ABS-CBN a dose of its own medicine. Starting this weekend the network will introduce ‘The Clash’, an all-new singing competition to be hosted by Regine Velasquez-Alcasid. A total of 62 aspirants selected from several nationwide auditions will compete in intense one-on-one battles to determine the country’s next singing sensation. Judges Lani Misalucha, Ai-ai delas Alas and Christian Bautista will evaluate the performance of each individual and reveal the verdict in front of the audience. Also part of ‘The Clash’ are Joyce Pring and Andre Paras. The two will provide some news on the preparations of each aspirant and give updates on their performance. Having learned from the poor reception that ‘Bet ng Bayan’ and ‘To the Top’ earned, GMA made a smart move with ‘The Clash’. The show would air not only on Saturdays but on Sundays as well, and in a more convenient timeslot. But that does not mean they will have a fighting chance against ‘Your Face Sounds Familiar Kids’. With the latter show currently earning ratings in the 30s, ‘The Clash’ should have its hands full dealing with this tough opponent. Still, Kapuso viewers will be more than happy to see GMA produce a singing competition show once more. This is an opportunity that GMA is itching to do, and out of desperation, they delivered. 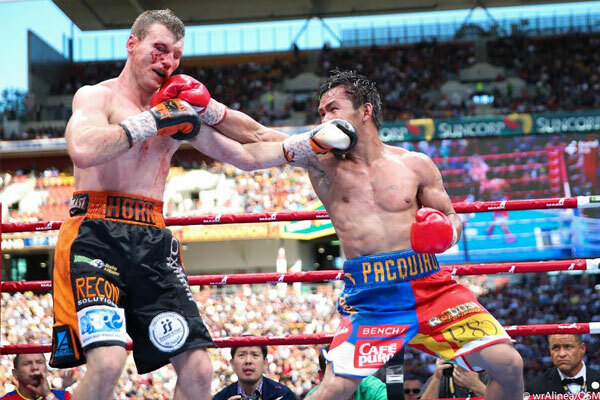 Now it is up to ‘The Clash’ to make an impact. But will it be more than enough to make the competition more meaningful? ‘The Clash’ airs every Saturday after ‘Pepito Manaloto’ and Sunday after ‘Daig Kayo ng Lola Ko’ on GMA. How about giving the kids a shot? That is exactly what ABS-CBN will do starting this weekend when they premiere its newest franchise program. Enter ‘Little Big Shots’, the Kapamilya network’s up-and-coming reality talent show. The ‘Little Big Shots’ franchise was created by Ellen DeGeneres and Steve Harvey and has since been adapted in 20 countries. The program is essentially a kid’s version of the ‘Got Talent’ franchise in which kids of various talents converge to show their abilities in front of a national audience. “It’s my first time to host a talent show where I am the only person from showbiz, because I usually work with people who are already big shots. But here, you’d be surprised by how the kids carry the show, and I’m here to let their personalities shine. All I can say is the kids featured on the show are very exceptional and they really deserve to be called little big shots”. “I grew up performing, and I know how rewarding it is to entertain people. But in ‘Little Big Shots, you wouldn’t expect what the kids can do, their wit, and they are all very charming”. Kids aged two to twelve will be front and center on ‘Little Big Shots’. Each of these kids has some innate skill and ability waiting to be unleashed, not to mention their big personalities that will endear with the national audience. Fresh off a successful season of ‘The Voice Teens’, the big question surrounding ‘Little Big Shots’ is whether or not they can follow up its predecessor’s popularity. Then again, considering ABS-CBN’s rich history of adapting successful franchised programs, putting ‘Little Big Shots’ on the map should not be a problem. Expect plenty of thrills from these kids as they put their talents to the test on ‘Little Big Shots’. After all, viewers of all ages can’t help but be excited with the kids’ hidden abilities and personalities. ‘Little Big Shots’ airs every Saturday after ‘Home Sweetie Home’ and Sunday after ‘Goin’ Bulilit’ on ABS-CBN. For much of the last three years, Luis Manzano became a part of every household thanks to a multitude of hosting commitments he accepted during that span. Whether it’s a game show or a talent show, it seems like viewers can’t get enough of this popular Kapamilya host. Luis’ lengthy run began on October 26, 2014, when he joined Toni Gonzaga to host ‘The Voice of the Philippines’ season 2. 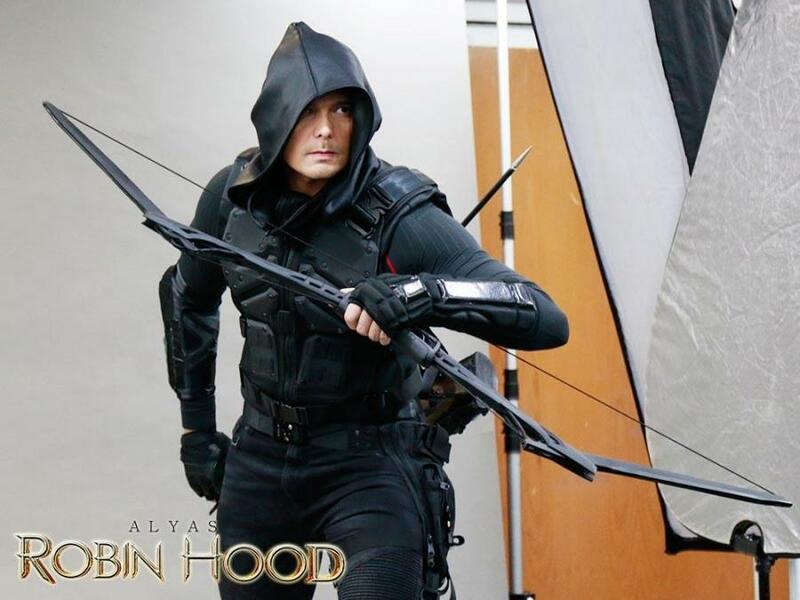 The season ran for 36 episodes, concluding on March 1, 2015. At the tail end of ‘The Voice of the Philippines” run, Luis accepted the job as host of the new season of ‘Kapamilya Deal or No Deal’. Running from February 9, 2015 until March 4, 2016, the fifth season of ‘Kapamilya Deal or No Deal’ aired a total of 278 episodes. Next up for Luis was ‘The Voice Kids’ season 2, which ran from June 6 to August 30, 2015. A total of 26 episodes were aired during that season. On November 14, 2015, Luis replaced Billy Crawford as host of ‘Celebrity Playtime’, and was present for the game show’s final 41 episodes. Then on January 23, 2016, Luis and Billy joined forces to host the fifth season of ‘Pilipinas Got Talent’, which ran for 35 episodes until May 22, 2016. By that point, signs of overexposure become more evident for Luis. Unfortunately for the viewers, ABS-CBN is not yet finished with him. 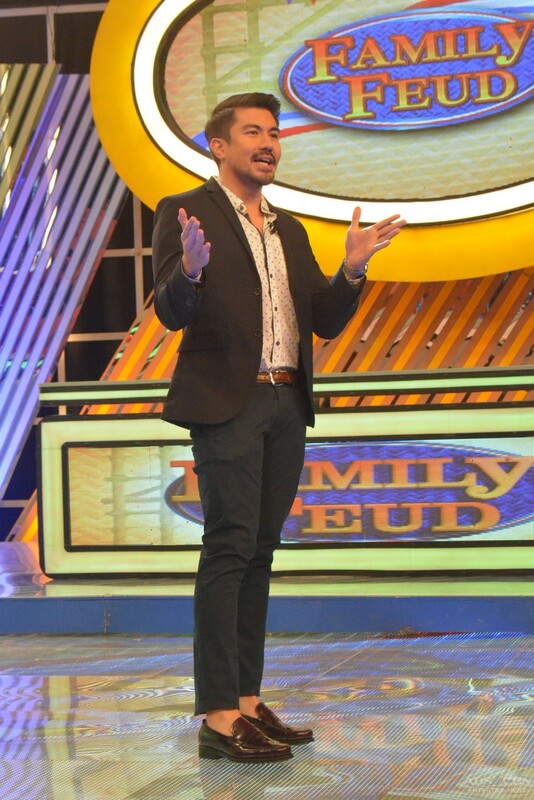 April 9, 2016 saw Luis take over as host of the newly-acquired ‘Family Feud’ franchise, and he presided on all of its 111 episodes. A few months later, on July 18, 2016, Luis returned to host the second season of ‘Minute to Win It’, adding another 208 episodes to his resume. And if that is not enough, another run as host of ‘The Voice Kids’ awaited Luis. From May 28 to August 28, 2016, Luis was the presenter on all 28 episodes of ‘The Voice Kids” third season. Finally on April 16, 2017, Luis accepted another hosting stint within ‘The Voice of the Philippines’ franchise. This time, he became the host of ‘The Voice Teens’, which has now aired seven episodes and counting. This does not include his additional responsibility as one of the hosts of ‘ASAP’. That said, for all intents and purposes, ‘ASAP’ will not be added in this count. It was clear that ABS-CBN is paying the price for their overreliance on Luis Manzano. Overall, the host accumulated a total of 770 episodes within nine shows (as of May 7, 2017) in a span of 925 days, which speaks of how ABS-CBN became too dependent on this star hosting-wise. While ratings for Luis’ nine shows were not a problem, it is ABS-CBN’s utilization that became a dilemma. Let’s face it, they have a deep plethora of talent who can be just as proficient in hosting, yet they stuck with Luis for some reason because, he’s the only guy they can depend on to deliver a good show. Now that Luis is freed of the burden of hosting too many shows on a daily basis, the time is definitely now for ABS-CBN to develop more hosts. After all, there are plenty in the pipeline so why not breed at least one or two of them to relieve some pressure on the veterans. For now, Luis Manzano can breathe easily. A period of less strenuous activity is all he needs at this point. GMA will once again go the fantasy route this Sunday night. After fusing comedy and adventure with ‘Tsuperhero’, the network decided to take a more magical approach. This led to a new program called ‘Daig Kayo ng Lola Ko’, starring Ms. Gloria Romero, Jillian Ward, David Remo, Julius Miguel and Chlaui Malayao. In ‘Daig Kayo ng Lola Ko’, Lola Goreng (Ms. Gloria) acts as the narrator alongside her grandchildren Alice (Jillian) and Elvis (David), an orphan named Moira (Chlaui) and another child named Jorrel (Julius). Each episode will feature value-filled and playful stories that people of all ages will enjoy. ‘Daig Kayo ng Lola Ko’ will also feature special celebrity guests during each episode. 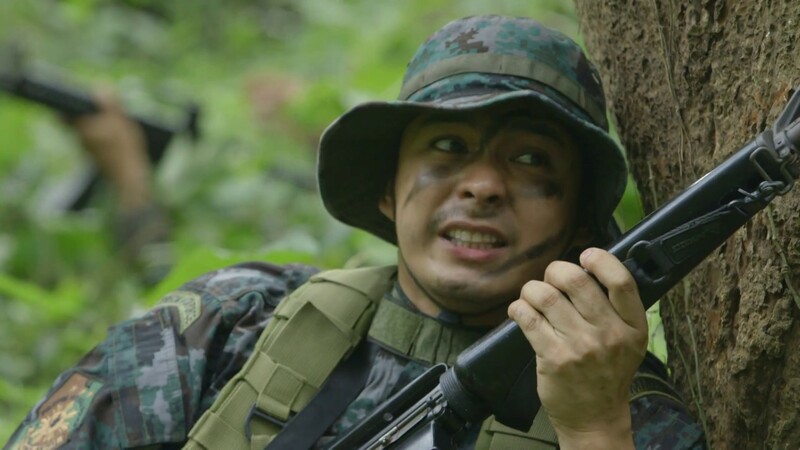 For the pilot, Marian Rivera will appear as a guest for the week. 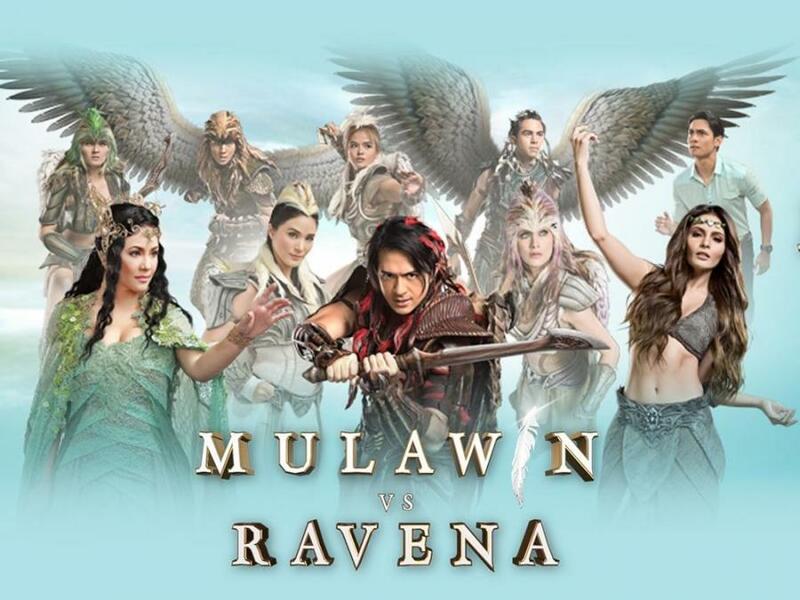 GMA is no stranger to the world of primetime fantasy programs, with shows such as ‘Okay Ka Fairy Ko’, ‘Mga Mahiwagang Baul’ and ‘One Day Isang Araw’ among the most notable examples. If ‘Daig Kayo ng Lola Ko’ seems familiar to the average viewer, it is that they are once again using the power of an elderly woman to tell a story. 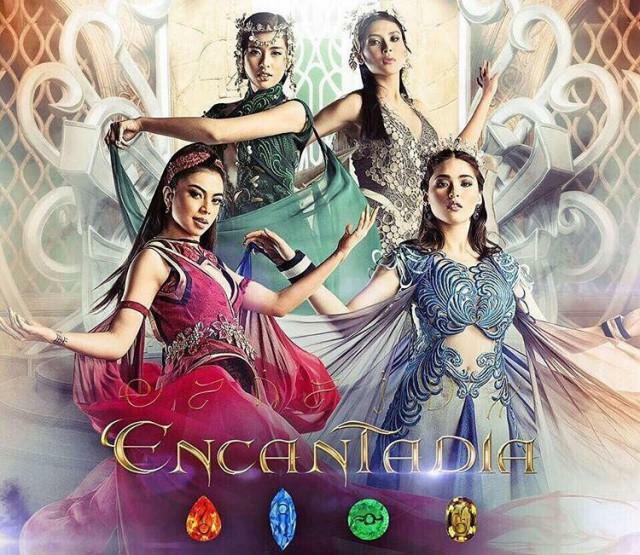 But while GMA has produced some memorable fantasy programs, the network has not been able to replicate the success of ABS-CBN’s long-running fantasy anthology ‘Wansapanatym’. After all, this show has long dominated Sunday nights for over a decade. Even worse for GMA is the fact that they have not figured out a way to win during Sunday primetime. 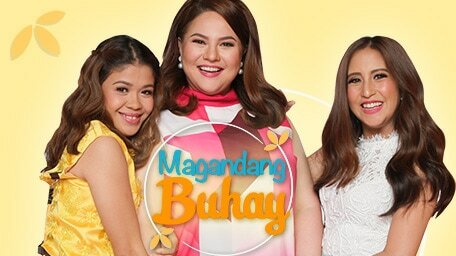 In the case of ‘Daig Kayo ng Lola Ko’, their potential opponents ‘The Voice Teens’ and ‘Wansapanatym’ are considered top-raters every Sunday night, thus adding to the endless expectations that the show is about to experience. That said, GMA can only hope that ‘Daig Kayo ng Lola Ko’ will give their viewers something more relevant and enthusiastic to offer. The onus is now on this show to make an impact. ‘Daig Kayo ng Lola Ko’ airs every Sunday starting April 30 on GMA. Palm and Easter Sunday will have a respective finale and a premiere of two hit ABS-CBN talent shows. On Palm Sunday weekend, ‘Your Face Sounds Familiar Kids’ will officially close the curtain on its first season. The finale will see all eight celebrity kids duke it out one last time for a chance to become this season’s grand winner. Premiering on January 7, 2017, ‘Your Face Sounds Familiar Kids’ became the latest in a series of hit talent shows on the Kapamilya network. Much of its success has to do with the eight celebrity kids and their uncanny ability to replicate the mannerisms of the artists they imitate. Whether they cheer for AC Bonifacio, Awra Briguela, Justin Alva, Alonzo Muhlach, Elha Nympha, Lyca Gairanod, Sam Shoaf or Xia Vigor, they were rewarded with memorable performances that are both astonishing and unreal. It is these visual images which made ‘Your Face Sounds Familiar Kids’ a hit to all audiences. Come this Sunday, only one of them will win it all. That said, good luck to the eight celebrity kids in their quest to become the grand winner. Then on Easter Sunday, ‘The Voice Teens’ Philippines (only the second in the franchise after Colombia) premieres on ‘Your Face Sounds Familiar”s vacated slot. This latest season of ‘The Voice of the Philippines’ franchise will inherit the same team of judges that presided in Season 3 of ‘The Voice Kids’, save for one returning judge. After not taking part in Season 3 of ‘The Voice Kids’ due to her busy performing schedule, Sarah Geronimo decided to return to the judges’ table for ‘The Voice Teens’. She will join holdovers Lea Salonga, Sharon Cuneta and Bamboo Mañalac. As for the hosts of ‘The Voice Teens’, it will be Luis Manzano and Toni Gonzaga who will take the helm. Auditions for this new season took place earlier this year, and the first few episodes of ‘The Voice Teens’ will show some of the highlights leading up to the blind auditions. ‘The Voice Teens’ will air every Saturday after ‘Home Sweetie Home’ (the first Saturday episode will be seen on April 22), and every Sunday after ‘Goin’ Bulilit’ on ABS-CBN.